Now kids can decorate the sidewalks on Creativity Street! Sturdy corrugated storage box features a lock-tab to keep flap secure when not in use. 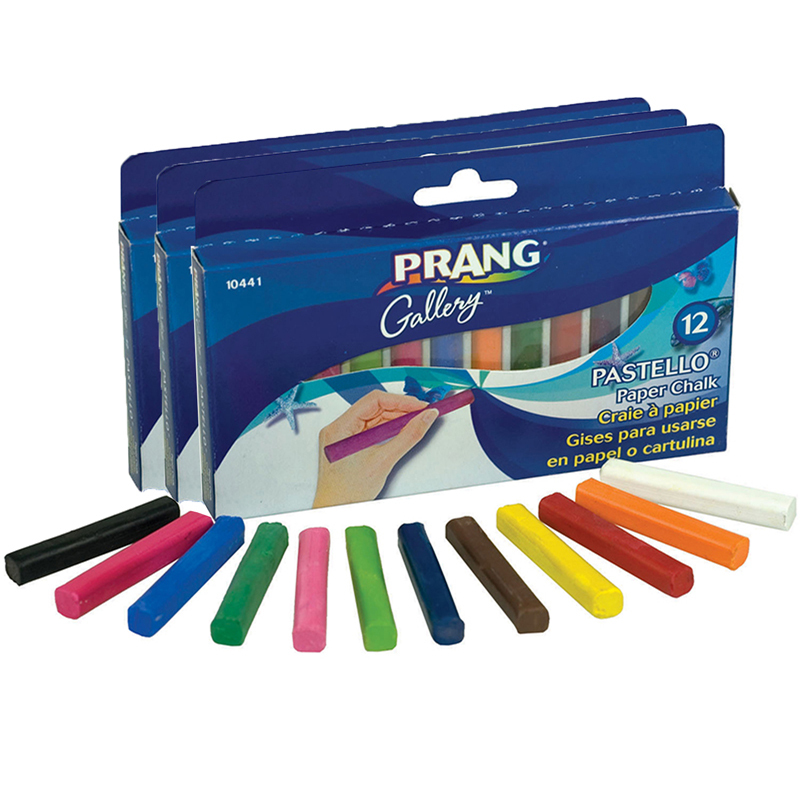 Large 4" x 1" diameter chalk pieces are easy for small hands to hold. Non-toxic and washable. Each box includes 37 pieces in bright colors. 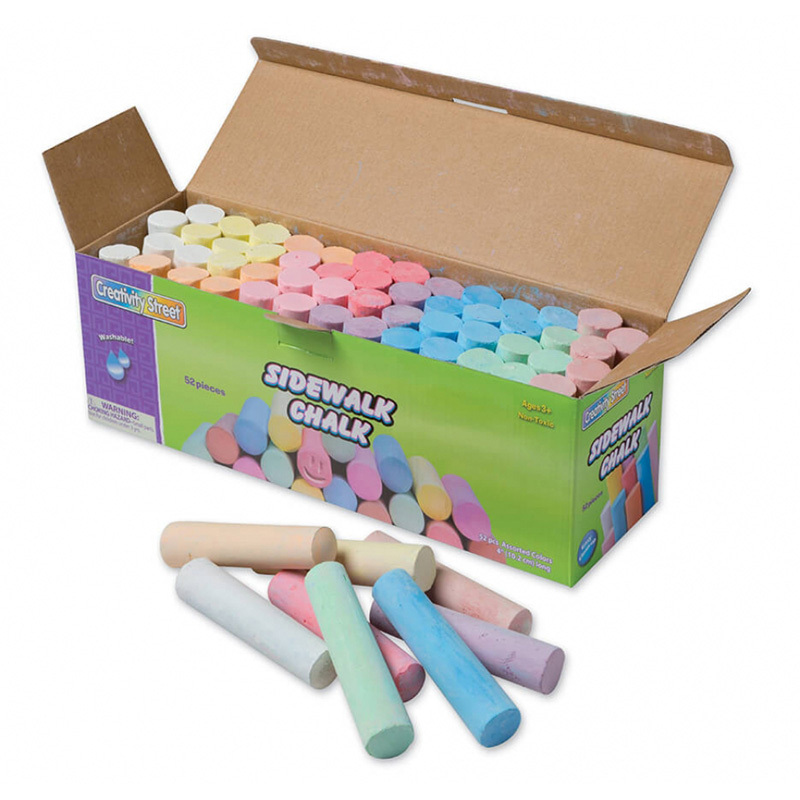 Sold as 3 boxes for a total of 111 pieces of chalk. 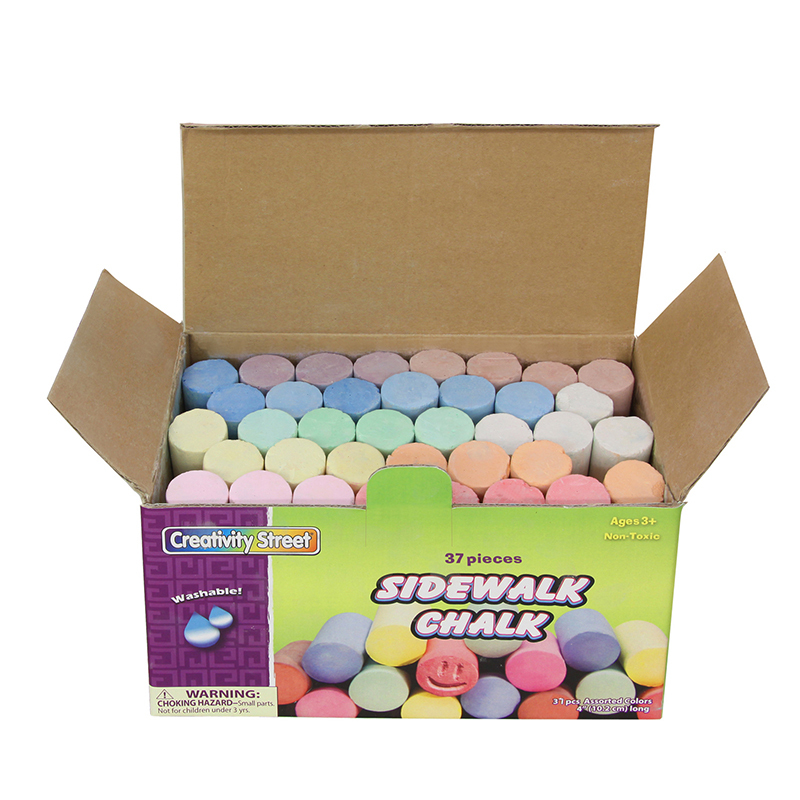 The (3 Bx) Sidewalk Chalk 37 Per Bx can be found in our Chalk product category within the Arts & Crafts.